Pre-Soldered Connector: We took the liberty of adding an XT-30 connector to make it a simple a connection to your battery. Pre-Soldered 2mm Bullet Connectors: This makes attaching to our FT Radial Motors a breeze. 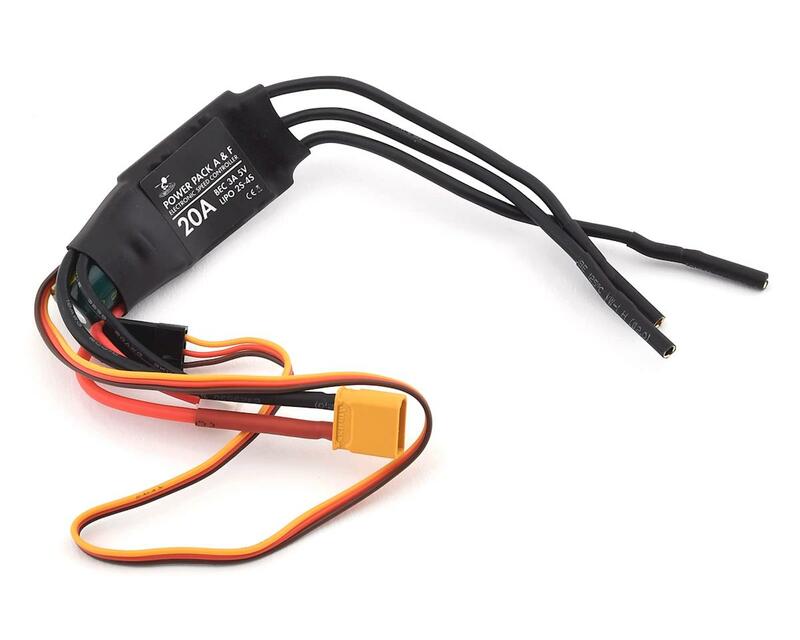 We suggest using the FT 20a ESC with the Power Pack A and Power Pack F sized radial motors. 5v / 3amp BEC: We like a BEC on our speed controllers because it allows you to power lower voltage demand accessories without having a second battery on board. 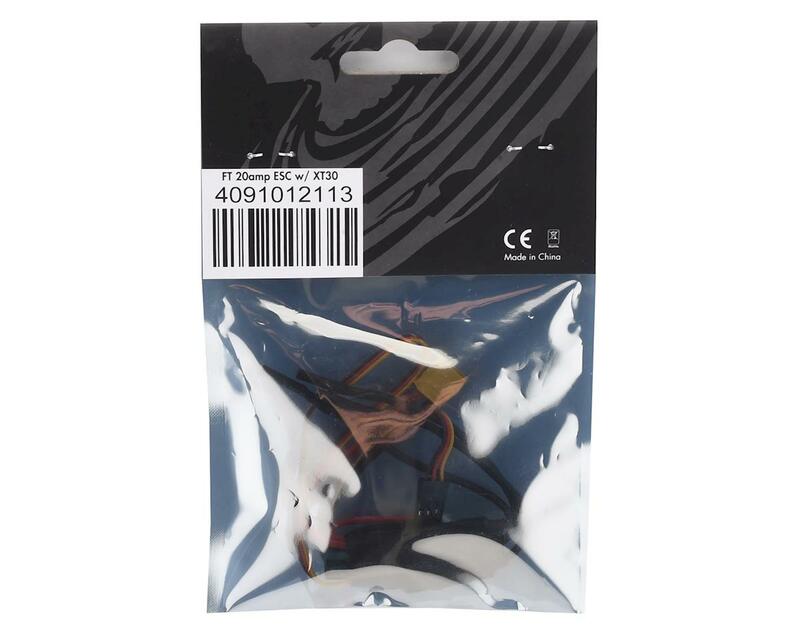 Accessory Cable: Provides an easy connection to full battery voltage (2S to 4S) to power your accessories. Note: this is not a regulated power source! Full battery voltage is supplied at this connector. Looks and feels like a good esc works just fine on my FT tiny trainer. Came with an XT-30 attachment just like it said it would.